NEWLY BUILT 4BEDROOM TERRACE WITH BQ AT ELAYS IMPERIAL COURT ESTATE BESIDE ABRAHAM ADESANYA ESTATE AJAH LAGOS. PRICE: N40M ASKING. NEWLY BUILT 4BEDROOM TERRACE WITH BQ AT ELAYS IMPERIAL COURT ESTATE BESIDE ABRAHAM ADESANYA ESTATE AJAH LAGOS. 4 PLOT OF LAND FOR SALE SAND FILLED FENCED ON ORCHILD ROAD CHEVRON LEKKI LAGOS. PRICE: N50M PER PLOT ASKING. 4 PLOT OF LAND FOR SALE SAND FILLED FENCED ON ORCHILD ROAD CHEVRON LEKKI LAGOS. PRICE: N50M PER PLOT ASKING. sprinklers complete with pipeline and fittings. ii. Loading: 6 (No) loading bays with Jetty with capacity to hold 30,000 tons dead weight and K1 clarification. iii. Area of Land: The land area is approximately 11,830 square metre (91m breadth by 130m depth). iv. A 2,000,000 Litres capacity water storage for the Fire service. vi. 1 (No) 27KVA Perkins/Leroy Somer industrial diesel engine Generator. viii. 1 (No) 1,000,000m3 slope tank with transfer pump. ix. A 2-storey Building/Office Complex. MINI ESTATE OF 8 UNITS OF 4BEDROOM SEMIDETACHED AND 6 UNITS OF 5BEDROOM FULLY DETACHED DUPLEX AT OLOGOLO CITY MALL SHOPRITE JAKANDE LEKKI LAGOS. 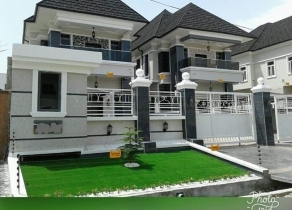 MINI ESTATE OF 8 UNITS OF 4BEDROOM SEMIDETACHED AND 6 UNITS OF 5BEDROOM FULLY DETACHED DUPLEX: THE DUPLEXES CES WITH FITTED KITCHEN, MARBLE FLOORS, QUALITY SANITARY WARES ALL ROOMS EN-SUITED SEPARATE COMPOUND THAT CAN TAKE UP TO 3 TO 4 CARS CENTRAL WATER SYSTEM AND CENTRAL SECURITY POST AT OLOGOLO CITY MALL SHOPRITE JAKANDE LEKKI LAGOS. 5 BEDROOM DUPLEX WITH 2ROOM BQ AT VGC LAGOS. NEWLY BUILT LUXURY DETACHED 5BEDROOM FAMILY HOME WITH A BQ AT PINNOCK BEACH LEKKI LAGOS. NEW DEVELOPMENT TRANSACTION MODE: BILL OF EXCHANGE - BOE IS NOT A CASHABLE INSTRUMENT IT'S JUST GUARANTEEING PAYMENT. IN PLACE OF BG, SBLC AND BLOCKED FUNDS THIS IS OUR BEST FORM OF GUARANTEE. IT'S BETTER, SAFER EASIER THAN BG, SBLC AND BLOCKED FUNDS, NO SWIFT, NO DELAY. - FINAL PAYMENT BY MT103. Genuine buyer that ready to work with RWA/BILL OF EXCHANGE and non-negotiable procedure for CIF direct terminal loading TO CHINA, EUROPE & ANY SAFE PORT IN THE WORLD and loaded vessel only en-route to china. FOR MORE DETAILS AND FULL PROCEDURE CALL OR EMAIL. 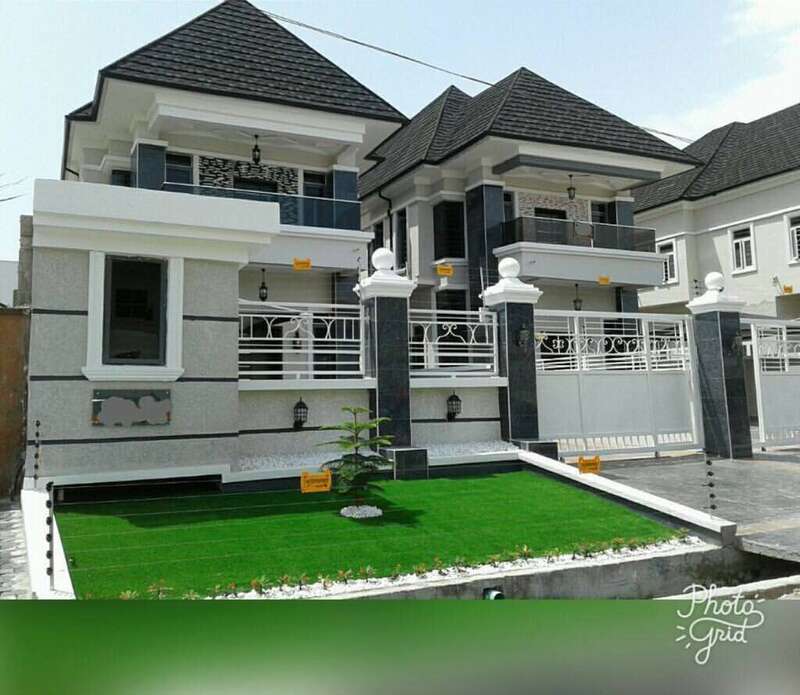 DISTRESS SALE SUPER LUXURY 4BEDROOM TERRACE DUPLEX WITH BQ IN A MINI SECURED ESTATE WITH YOUR OWN PRIVATE GATE AND CAR PARK AT IKATE LEKKI LAGOS. PRICE: N60M ASKING. DISTRESS SALE SUPER LUXURY 4BEDROOM TERRACE DUPLEX WITH BQ IN A MINI SECURED ESTATE WITH YOUR OWN PRIVATE GATE AND CAR PARK AT IKATE LEKKI LAGOS. NEWLY BUILT 5BEDROOM FAMILY HOME AT CHEVY VIEW ESTATE OFF CHEVRON DRIVE LEKKI LAGOS. Total number of Tank: 15 Tanks various size ranging from1Million Litres1.5Million Litres. Usage: The tank farm is used for the storage of base oil and crude ethanol. TITLE: A lease from Nigerian port authority. The lease is in perpetuity. Renewable every year. BRAND NEW LUXURY 5BEDROOM MANSION FAMILY HOME AT VICTORIA PARK ESTATE OSAPA LEKKI LAGOS. HD LUXURY TERRACES DUPLEX. * .......30% DOWN PAYMENT AND PAY BALANCE FOR 12MONTHS. FULLY SERVICED 3BEDROOM WITH BQ AT CHEVRON CONSERVATIVE ROUTE LEKKI LAGOS. NOW SELLING AT ORAL ESTATE LEKKI BY CHEVRON TOLL GATE 6UNITS OF 5BEDROOM TRIPLEX AT ORAL ESTATE BACK OF MOBIL FILLING STATION. FULLY SERVICED 4BEDROOM TERRACE DUPLEX WITH BQ BEHIND WORLD OIL JUST BEFORE SHOPRITE LEKKI LAGOS. NEWLY BUILT 5BEDROOM DETACHED DUPLEX WITH BQ AT OSAPA LONDON ESTATE LEKKI, CLOSE TO SHOPRITE LAGOS. PRICE: N12M WITH PAYMENT PLAN 40% DEPOSIT AND SPREAD BALANCE FOR 12MONTHS AVAILABLE. HALF PLOT OF LAND FOR SALE AT SOLUYI ESTATE GBAGADA,LAGOS. TITLE: R/C. PRICE: N15M ASKING. HALF PLOT OF LAND FOR SALE AT SOLUYI ESTATE GBAGADA,LAGOS. TITLE: R/C. PRICE: N15M ASKING. HALF PLOT OF LAND FOR SALE AT SAW MILL GBAGADA,LAGOS. TITLE: R/C. PRICE: N18M ASKING. HALF PLOT OF LAND FOR SALE AT SAW MILL GBAGADA,LAGOS. TITLE: R/C. PRICE: N18M ASKING.